Update your registry and optimize the performance of your PC! 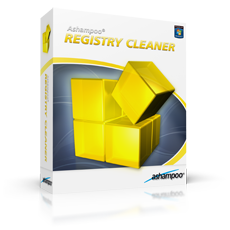 Ashampoo Registry Cleaner 1.00 was available as a giveaway on October 20, 2018! Do you remember how trouble-free and fast your new PC was? Regain some of that performance by updating the Windows registry with the Ashampoo Registry Cleaner. With the Ashampoo Registry Cleaner you will easily and safely delete redundant or damaged registry entries. Faulty links in the registry are also repaired. The real-time backup in the Ashampoo Registry Cleaner offers a maximum of safety and enables the restoring of the windows registry into its original status anytime. You’ll be amazed how the Ashampoo Registry Cleaner will quickly and easily improve the performance of your PC. How would you improve Ashampoo Registry Cleaner 1.00? I have been unable to access Windows Updates for some time and all the remedies I've tried did not work. Windows Repair did not fix it either. So while Windows Repair may be good it is not a panacea. I tried Ashampoo Registry Cleaner and while it did not fix it either (did not really expect it to) I am not aware it doing anything untoward. Ashampoo have good products (used them for many years) and if it bothers anyone their advertising emails can always be blocked. Free [ Tweaking . com ] Windows Repair has a "repair windows update" feature that might help you ( though Microsoft often kills computers with updates, so pick your poison ).
. [ Colin ], Free [ Tweaking . com ] Windows Repair has a "repair windows update" feature that might help you ( though Microsoft often kills computers with updates, so pick your poison ). .
"Roger" stated ....."If you're having issues with your system, I highly recommend running tweaking.com's Windows Repair. It's *free* and unlike registry cleaners, it can actually fix a lot of issues with Windows". I found out that it ain't exactly free - Oh yes it will scan your installation - but when it comes down to actually "fixing it", it's going to co$t you money. "Roger" stated ....."If you're having issues with your system, I highly recommend running tweaking.com's Windows Repair. It's *free* and unlike registry cleaners, it can actually fix a lot of issues with Windows". I found out that it ain't exactly free - Oh yes it will scan your installation - but when it comes down to actually "fixing it", it's going to co$t you money. Anguilla, it is completely free. There is a paid Pro version which adds some extra features. But for the vast majority of users, the free version will do everything they need, without ever having to pay for it. Make your choice. The Ceaner from Ashampoo is not listed. Ashampoo Registry Cleaner 1.00 seems safe, all it seems to do is remove references to missing files, no other recommendations when scanning and offering to "fix" the registry, so even after many other cleaners had cleaned my system, it still found 100+ references to missing files, cleaned them, and no problem.
. Ashampoo Registry Cleaner 1.00 seems safe, all it seems to do is remove references to missing files, no other recommendations when scanning and offering to "fix" the registry, so even after many other cleaners had cleaned my system, it still found 100+ references to missing files, cleaned them, and no problem. Did they "need' cleaning? I dunno. Seems safe. .
there is a read me file in almost every giveaway. what do you think its for? your supposed to read it !!! The program downloaded and installed just fine. there is a read me file in almost every giveaway. what do you think its for? your supposed to read it !!! The program downloaded and installed just fine. I noticed when I went out to the Home Page listed above, the System Requirements only listed Windows 7 and the Product is currently 50% off if you choose to buy the software. This is a good company overall. I have purchase many of their products (at reduced prices). They are having a great sale right now (91% off for 19 days). I would be amiss not to mention the sale ends in 5 hours. (Independent endorsement - not affiliated with Ashampoo in any way. Just a happy customer). I noticed when I went out to the Home Page listed above, the System Requirements only listed Windows 7 and the Product is currently 50% off if you choose to buy the software. This is a good company overall. I have purchase many of their products (at reduced prices). They are having a great sale right now (91% off for 19 days). I would be amiss not to mention the sale ends in 5 hours. Ref: https://www.ashampoo.com/en/usd (Independent endorsement - not affiliated with Ashampoo in any way. Just a happy customer). Hope this helps! Ashampoo has great software and I often visit the deals (https://www.ashampoo.com/en-us/shop) page and the freeware (https://www.ashampoo.com/en/usd/fdl/0/0/free/0) page - I often find great deals or useful software. While this comment is not specific to the Registry cleaner.....which is a great app..... Ashampoo has great software and I often visit the deals (https://www.ashampoo.com/en-us/shop) page and the freeware (https://www.ashampoo.com/en/usd/fdl/0/0/free/0) page - I often find great deals or useful software. johnbeecham, then use temporary mail. Based on previous comment Who says clean registery doesnt give you performance or fix problem. So you better keep the trash on your PC? Based on previous comment Who says clean registery doesnt give you performance or fix problem. So you better keep the trash on your PC? bom, except in extremely rare cases, the unneeded registry keys that registry cleaners remove, do not cause any issues, so there is no need to remove them. I wonder how many copies of this version 1 software they have sold? On the homepage link there is just one endorsement and that refers to Windows 7 and the link to the original site doesn't work! I just spent the last two hours scanning my Windows 10 computer with tweaking.com free software. I am so happy as it cleared up two major problems: 1. I had not been able to access Microsoft Store (showing I was not connected to the Internet) and 2. I had an annoying line across the middle of the Win 10 Bing Map on their weather utility - no amount of previous searches had addressed these issues - I am happy to report that both are now fixed! Thank you tweaking.com! It is free, regardless of what other people have indicated. I am itching to try the tweaking application, mentioned by you, but VirusTotal scan detected a number of malware in the portable version. That fact doesn't inspire confidence in me. ... and [ BleepingComputer . com ] ComboFix is great for Windows 7 and earlier, ComboFix's powers are one significant reason I will not upgrade beyond Windows 7.
. [ Tony ], Yes, free [ Tweaking . com ] Windows Repair is great for all Windows PCs, ... and [ BleepingComputer . com ] ComboFix is great for Windows 7 and earlier, ComboFix's powers are one significant reason I will not upgrade beyond Windows 7. The Ashampoo offer is a tease to get their foot in the door and offer you other Ashampoo software, it does what it promises, but ... .
consuella, the detections are false positives, which means the scanners wrongly detected it as malware. The four scanners which flagged it, often flag clean files as being malicious. It's a good idea to scan downloads at VrusTotal to see if they are clean or not, but you need to bear in mind that false positives are quite common and often clean files will be flagged by a handful of scanners. consuella, the detections are false positives, which means the scanners wrongly detected it as malware. The four scanners which flagged it, often flag clean files as being malicious. It's a good idea to scan downloads at VrusTotal to see if they are clean or not, but you need to bear in mind that false positives are quite common and often clean files will be flagged by a handful of scanners. Windows Repair is safe. Thank you, Roger, for responding to my concerns. Your comment has lessened my unease about using tweaking.com software, and it encouraged me to try it. Kerish Doctor has improved my PC. It has a 15-day free trial. I install the original Kerish 2016 to tweak and fix computers ( the original lets you select all fixes, the newer versions permit only one fix at a time ), then let it upgrade, the always-free version is just fine, like all free software, the paid version has some nice enhancements, but you gotta decide if they are appropriate for you for the money.
. [ Richard ], I install the original Kerish 2016 to tweak and fix computers ( the original lets you select all fixes, the newer versions permit only one fix at a time ), then let it upgrade, the always-free version is just fine, like all free software, the paid version has some nice enhancements, but you gotta decide if they are appropriate for you for the money. The Ashampoo offer is a tease to get their foot in the door and offer you other Ashampoo software, it does what it promises, but ... .
Before installing today's giveaway, it's important to note that there is no need to ever clean the registry. Despite the claims from the publisher that their registry cleaner will improve performance, the truth is that no matter how many hundreds, or even thousands of registry errors, that this or any other registry cleaner finds and deletes, the chances are that your computer will run just as slowly as it did beforehand. The reason for this is that all these so called errors, usually don't matter. Microsoft actually designed the registry so that excess registry keys won't reduce performance. Also, if you're experiencing crashes or other issues with your system, cleaning the registry, more than likely won't fix them. Based on my experience over many years, around 99.9% of the time, cleaning the registry won't increase performance or fix problems. On the plus side, unlike just about every other registry cleaner there is (including widely used ones like CCleaner and WiseCare/Wise Registry Cleaner), this one won't delete needed registry keys, so it shouldn't actually cause any problems. But, you don't really need to ever clean the registry. If you're having issues with your system, I highly recommend running tweaking.com's Windows Repair. It's free and unlike registry cleaners, it can actually fix a lot of issues with Windows. If you're having issues with Windows or its running slowly, it won't hurt to use today's giveaway as a last resort, but just bear in mind that it probably won't make any noticeable difference to your system. Before installing today's giveaway, it's important to note that there is no need to ever clean the registry. Despite the claims from the publisher that their registry cleaner will improve performance, the truth is that no matter how many hundreds, or even thousands of registry errors, that this or any other registry cleaner finds and deletes, the chances are that your computer will run just as slowly as it did beforehand. The reason for this is that all these so called errors, usually don't matter. Microsoft actually designed the registry so that excess registry keys won't reduce performance. Also, if you're experiencing crashes or other issues with your system, cleaning the registry, more than likely won't fix them. Based on my experience over many years, around 99.9% of the time, cleaning the registry won't increase performance or fix problems. On the plus side, unlike just about every other registry cleaner there is (including widely used ones like CCleaner and WiseCare/Wise Registry Cleaner), this one won't delete needed registry keys, so it shouldn't actually cause any problems. But, you don't really need to ever clean the registry. If you're having issues with your system, I highly recommend running tweaking.com's Windows Repair. It's free and unlike registry cleaners, it can actually fix a lot of issues with Windows. If you're having issues with Windows or its running slowly, it won't hurt to use today's giveaway as a last resort, but just bear in mind that it probably won't make any noticeable difference to your system. Roger, as a retired IT Technician the only time I have encountered issues with registry files is when users have attempted to modify registry files without knowing what they are doing. As you rightly say under normal use the registry should cause problems because of the way it is implemented and the only thing I can add to your comment is if it's not broken don't fix it. Running this type of software can do more harm than good and take up unnecessary space on the drive. Quoted from tweaking.com "Windows Repairs section as always been completely free for personal use. We offer a Pro version. adds features like automatic updates, an enhanced drive cleaner, memory cleaner, speed tweaks and more." Bill, it is free. There is a paid Pro version, which adds some extra functionality, but for most users, the free version is really all you need. But it would be worthwhile buying the Pro version to support the author. Roger, The utmost advantage to the pro version is minimal online invasiveness into your hard drive that you may record your taxes, online banking, and passwords on. I for one will never allow that. I just ran Tweaking.com on my Win 7 computer. It hasn't ran that fast in months. Chrome used to take about a minute to open a new tab and load the page. Now it's almost immediate like it should be with my fast internet. Thanks guys for the recommendation! Au contraire, Microsoft's own Windows Registry Cleaner ( from Windows 95 ), still works on Windows 7 ( and maybe on later, Windows versions, I don't care ), and makes anything that accesses the registry much more responsive.
. [ Roger ], Au contraire, Microsoft's own Windows Registry Cleaner ( from Windows 95 ), still works on Windows 7 ( and maybe on later, Windows versions, I don't care ), and makes anything that accesses the registry much more responsive. The Ashampoo offer is a tease to get their foot in the door and offer you other Ashampoo software, it does what it promises, but ... .
Eric Harden, it's clear you have no idea what you are talking about. Windows Repair (both the free and paid versions) is safe to use. Peter Blaise, Microsoft's registry cleaner is not safe to use and cause problems. Also, it was designed to run on Windows 95 computers and has not been updated since 1997. That's 21 years since it's been updated! In addition to that, Microsoft does not support the use of any registry cleaners. "Microsoft cannot guarantee that problems resulting from the use of a registry cleaning utility can be solved. Issues caused by these utilities may not be repairable and lost data may not be recoverable. " If you insist on using a registry cleaner, at least use one that supports modern operating systems and actually lists the registry keys it wants to delete, so you can see if it it wants to delete any needed registry keys. Peter Blaise, Microsoft's registry cleaner is not safe to use and cause problems. Also, it was designed to run on Windows 95 computers and has not been updated since 1997. That's 21 years since it's been updated! https://support.microsoft.com/en-au/help/299958/errors-that-the-regclean-utility-finds-after-you-install-microsoft-off In addition to that, Microsoft does not support the use of any registry cleaners. https://support.microsoft.com/en-au/help/2563254/microsoft-support-policy-for-the-use-of-registry-cleaning-utilities "Microsoft cannot guarantee that problems resulting from the use of a registry cleaning utility can be solved. Issues caused by these utilities may not be repairable and lost data may not be recoverable. " If you insist on using a registry cleaner, at least use one that supports modern operating systems and actually lists the registry keys it wants to delete, so you can see if it it wants to delete any needed registry keys. frank, if you reread my original post, you would see that I never said that. I've used pretty much every registry cleaner ever written and there are just a few which are safe to use. Today's giveaway is one of them, but there a few others which are also safe to use. Frank, I've run scans with just about every registry cleaner there is and have taken a close look at the scan results to see what they want do delete. I've only found a few which do not want do delete registry keys that reference files that are actually present on the hard drive. I've been doing this for many years. There are only a few registry cleaners that I've never seen want to delete needed registry keys. Some registry cleaners such as Wise Care 365/Wise Registry Cleaner and CCleaner only have very minor issues with false positives. As a result, they almost certainly won't delete anything critical, which is good. But of course, it it is best to never delete a needed registry key. Frank, I've run scans with just about every registry cleaner there is and have taken a close look at the scan results to see what they want do delete. I've only found a few which do not want do delete registry keys that reference files that are actually present on the hard drive. I've been doing this for many years. There are only a few registry cleaners that I've never seen want to delete needed registry keys. Some registry cleaners such as Wise Care 365/Wise Registry Cleaner and CCleaner only have very minor issues with false positives. As a result, they almost certainly won't delete anything critical, which is good. But of course, it it is best to never delete a needed registry key. GREAT hunting, thank you -- so, one of Microsoft's 400+ design teams, that do not talk to the other Microsoft's 400+ design teams, responded to a user who found that Microsoft's own free RegClean separates Microsoft Office 2007 from it's installation default of being the DOC et cetera handler. Seriously ... no other Microsoft-web-page-findable complaints associated with Microsoft's own free RegClean? No other problems in 24 years?!? Well, considering that Microsoft Office 2007 is one of the worst and most complained about product introductions, then GOOD! RegClean creates an UNDO file each time it runs,, so if anyone ever wants to undo that, then simply double-click on the UNDO file, that's what Microsoft says. You want DETAILS from a registry cleaner? Run [ RegClean /d ]. SOME Microsoft programmers were very savvy ... I wonder where they work now? Copyright (C) 1994-1997 by Microsoft Corporation. All rights reserved. Run it twice and see if the second time goes way faster, a clue that other programs will also be able to read the registry way faster after the first RegClean run. Like Listerine, I use it twice a day!
. [ Roger ], GREAT hunting, thank you -- so, one of Microsoft's 400+ design teams, that do not talk to the other Microsoft's 400+ design teams, responded to a user who found that Microsoft's own free RegClean separates Microsoft Office 2007 from it's installation default of being the DOC et cetera handler. That's it? Seriously ... no other Microsoft-web-page-findable complaints associated with Microsoft's own free RegClean? ( Well, one XP user says their system locked up, and they had to reboot ... end of story. ) No other problems in 24 years?!? Seriously? Well, considering that Microsoft Office 2007 is one of the worst and most complained about product introductions, then GOOD! RegClean creates an UNDO file each time it runs,, so if anyone ever wants to undo that, then simply double-click on the UNDO file, that's what Microsoft says. That was easy! You want DETAILS from a registry cleaner? Run [ RegClean /d ]. SOME Microsoft programmers were very savvy ... I wonder where they work now? Thanks for exploring Microsoft own free RegClean: REGCLEAN: Windows Registry Analysis and Correction Version 4.1-a (7364.0001) Copyright (C) 1994-1997 by Microsoft Corporation. All rights reserved. USAGE: REGCLEAN REGCLEAN [mode] [options] Mode: <none>	: Standard mode /A	: Automatic (standard mode only, no prompting) /S	: Silent mode (no UI) /D	: Detail mode (full UI) Options: /? : Display RegClean options /Help	: Display RegClean options /L [file]	: Log all activity to file (default is REGCLEAN.LOG) Available from a variety of sources wia a web search for [ download microsoft free regclean ] Run it twice and see if the second time goes way faster, a clue that other programs will also be able to read the registry way faster after the first RegClean run. Like Listerine, I use it twice a day! =8^o . ... ( and their Office programmers are, as we all know, the ones who are incompatible rule-breakers ).
. [ Frank ], Since Microsoft themselves developed and released a free registry cleaner ... ... ( and the only known dysfunction is, 13 years later, that one of their their own Office auto-file associations get's traipsed on, and could more appropriately be blamed on Microsoft Office being non-standard, and yet even that innocuous ding is completely undo-able by a built-in undo feature, and there are no further known complaints about Microsoft's own free registry cleaner in the ensuing 11 years after that ) ... ... I'd say that Microsoft themselves has no real problem with cleaning the registry, and they did it right themselves 24 years ago, and still running ... ... ( and their Office programmers are, as we all know, the ones who are incompatible rule-breakers ). Just saying. .
Peter Blaise, That's understandable, since very few people used the internet when RegClean was released and I'm sure that there are only handful of people who use RegClean (or any software that old) these days. "Well, considering that Microsoft Office 2007 is one of the worst and most complained about product introductions, then GOOD!" It doesn't matter if that is true of not. If RegClean causing issues with any software, it means it should be used with care. A good registry cleaner will never cause problems with Office, or any other software. double-clicking on the last UNDO.REG file. keep your last UNDO.REG file for at least a few days or so. frequency of problems like these." You must have some major issues with your system, if cleaning the registry makes it faster. As I've already mentioned, Microsoft designed the registry in such a way that excess registry keys won't impact performance. When they released XP, they improved the registry to make this work even better. I've been used registry cleaners for many years, on many different computers and I've only seen a noticeable difference in performance, once or twice. Whenever I'm fixing a customer's computer that is running slowly and am unable to find the cause of the slowness, I clean the registry and never has the computer run faster afterwards. Not even a single time. I once removed ten thousand registry keys from one of my systems and I noticed absolutely no difference in performance. If you want to clean the registry, that is up to you. But there are registry cleaners that as far as I can tell, unlike RegClean, will never ever delete needed registry keys. If you're going to use software specifically written for Windows 95, it would a good idea to use Windows 95 as your operating system. Peter Blaise, That's understandable, since very few people used the internet when RegClean was released and I'm sure that there are only handful of people who use RegClean (or any software that old) these days. "Well, considering that Microsoft Office 2007 is one of the worst and most complained about product introductions, then GOOD!" It doesn't matter if that is true of not. If RegClean causing issues with any software, it means it should be used with care. A good registry cleaner will never cause problems with Office, or any other software. Even Microsoft state that RegClean cause problems: "Running RegClean may, in a few cases, cause other problems, such as causing part of the Microsoft Network viewer to stop functioning, or causing other programs to stop functioning. If this happens to you, simply Undo the changes RegClean made, by double-clicking on the last UNDO.REG file. These types of problems are very rare, but it's a good idea to keep your last UNDO.REG file for at least a few days or so. Microsoft will continue improving RegClean to reduce the frequency of problems like these." You must have some major issues with your system, if cleaning the registry makes it faster. As I've already mentioned, Microsoft designed the registry in such a way that excess registry keys won't impact performance. When they released XP, they improved the registry to make this work even better. I've been used registry cleaners for many years, on many different computers and I've only seen a noticeable difference in performance, once or twice. Whenever I'm fixing a customer's computer that is running slowly and am unable to find the cause of the slowness, I clean the registry and never has the computer run faster afterwards. Not even a single time. I once removed ten thousand registry keys from one of my systems and I noticed absolutely no difference in performance. If you want to clean the registry, that is up to you. But there are registry cleaners that as far as I can tell, unlike RegClean, will never ever delete needed registry keys. If you're going to use software specifically written for Windows 95, it would a good idea to use Windows 95 as your operating system. Peter Blaise, "I'd say that Microsoft themselves has no real problem with cleaning the registry." You're wrong. They actually say "Microsoft does not support the use of registry cleaners" and also say the following. Let's not have too much reverence for Microsoft, let's not abandon our critical scrutiny. Microsoft updates, can be solved by Microsoft. data may not be recoverable ..."
You, and Microsoft, fail to acknowledge Microsoft's own failings, and Microsoft's own registry cleaning utility. Regardless, no one expects Microsoft to address an Ashampoo product, so why are you writing about Microsoft on an Ashampoo software thread?
. [ Roger ], Let's not have too much reverence for Microsoft, let's not abandon our critical scrutiny. I can easily read your quote as a legalese boilerplate copy-and-paste within Microsoft that essentially says: "... Microsoft cannot guarantee that problems resulting from the use of a non-Microsoft products can be solved by Microsoft. Issues caused by non-Microsoft products may not be repairable and lost data may not be recoverable ..." Which I can easily expand based on my own experience to this: "... Microsoft cannot guarantee that problems resulting from the use of a Microsoft products, especially Microsoft updates, can be solved by Microsoft. Issues caused by Microsoft products, especially Microsoft updates, may not be repairable and lost data may not be recoverable ..." You, and Microsoft, fail to acknowledge Microsoft's own failings, and Microsoft's own registry cleaning utility. Regardless, no one expects Microsoft to address an Ashampoo product, so why are you writing about Microsoft on an Ashampoo software thread? Thanks for sharing. . Thanks for your ... unusual ... contribution to an Ashampoo thread with ... Microsoft blah-blah-blah ... because ? "... Microsoft's own Windows Registry Cleaner ( from Windows 95 ), still works on Windows 7 ( and maybe on later, Windows versions, I don't care ), and makes anything that accesses the registry much more responsive ..."
"... Whenever I'm fixing a customer's computer that is running slowly and am unable to find the cause of the slowness, I clean the registry and never has the computer run faster afterwards. Not even a single time. I once removed ten thousand registry keys from one of my systems and I noticed absolutely no difference in performance ..."
... because I was not commenting on "computer that is running slowly", not was I commenting on removing any registry entries. I specifically mentioned "... anything that accesses the registry [ becomes ] more responsive ...", something lost on you and your experience of other registry cleaners what I also have a similar experience of NOT making subsequent programs that read the registry becoming more responsive, hence I did not mention "increasing responsiveness of reading the registry" as a feature or benefit of ANY registry cleaning program BUT Microsoft RegClean. Try it, you'll like it, it couldn't really hurt, and anything it hurts is deservedly hurt because whatever is hurt by RegClean is non-standard and is begging for a cascade of dysfunction, so remove it, and come up with a standard way of accomplishing that program's features and benefits. -- especially difficult to find and remedy in combination. But thanks for your ardent if inexplicable contribution of Microsoft stuff on an Ashampoo thread.
. [ Roger ], Thanks for your ... unusual ... contribution to an Ashampoo thread with ... Microsoft blah-blah-blah ... because ? Logic wise, my observation that "... Microsoft's own Windows Registry Cleaner ( from Windows 95 ), still works on Windows 7 ( and maybe on later, Windows versions, I don't care ), and makes anything that accesses the registry much more responsive ..." really doesn't lead to your comment that "... Whenever I'm fixing a customer's computer that is running slowly and am unable to find the cause of the slowness, I clean the registry and never has the computer run faster afterwards. Not even a single time. I once removed ten thousand registry keys from one of my systems and I noticed absolutely no difference in performance ..." ... because I was not commenting on "computer that is running slowly", not was I commenting on removing any registry entries. I specifically mentioned "... anything that accesses the registry [ becomes ] more responsive ...", something lost on you and your experience of other registry cleaners what I also have a similar experience of NOT making subsequent programs that read the registry becoming more responsive, hence I did not mention "increasing responsiveness of reading the registry" as a feature or benefit of ANY registry cleaning program BUT Microsoft RegClean. Try it, you'll like it, it couldn't really hurt, and anything it hurts is deservedly hurt because whatever is hurt by RegClean is non-standard and is begging for a cascade of dysfunction, so remove it, and come up with a standard way of accomplishing that program's features and benefits. A slower-than-previous computer usually has either -- too many programs running, -- programs running in conflict, a bad hard drive, -- or other mechanical / electronic cascade of degradation failures, -- especially difficult to find and remedy in combination. But thanks for your ardent if inexplicable contribution of Microsoft stuff on an Ashampoo thread. .
Peter Blaise, "so why are you writing about Microsoft on an Ashampoo software thread?" It's quite funny that you would ask me that, when you are the one who started talking about Microsoft's registry cleaner, not me. I've just been replying to your comments. It's evident that you have got nothing meaningful to add to this conversation, you just want to keep talking about how wonderful Microsoft's registry cleaner is. "You, and Microsoft, fail to acknowledge Microsoft's own failings, and Microsoft's own registry cleaning utility." Microsoft's failings (of which there are many), have nothing to do with registry cleaners. I constantly acknowledge that Microsoft's registry cleaner, is unsafe to use. If you want to use regclean, than that's up to you, but at least hopefully my comments, will prevent others from making the same mistake. There's another thing you should know with regards to regclean. Microsoft made changes to the registry when they released XP, which meant that registry cleaners which were not updated to work with XP could cause problems. This is something consider, when regclean was designed to be used under Windows 95. Considering there are registry cleaners, which are regularly updated, will find a lot more errors than regclean does, will never delete valid registry keys and show you exactly what registry keys they want to do delete, it's a mystery why you or anyone else, would want to use regclean in 2018. Why would you a terrible program to do something, where there are much better and safer options, which are also free? Peter Blaise, "so why are you writing about Microsoft on an Ashampoo software thread?" It's quite funny that you would ask me that, when you are the one who started talking about Microsoft's registry cleaner, not me. I've just been replying to your comments. It's evident that you have got nothing meaningful to add to this conversation, you just want to keep talking about how wonderful Microsoft's registry cleaner is. "You, and Microsoft, fail to acknowledge Microsoft's own failings, and Microsoft's own registry cleaning utility." Microsoft's failings (of which there are many), have nothing to do with registry cleaners. I constantly acknowledge that Microsoft's registry cleaner, is unsafe to use. If you want to use regclean, than that's up to you, but at least hopefully my comments, will prevent others from making the same mistake. There's another thing you should know with regards to regclean. Microsoft made changes to the registry when they released XP, which meant that registry cleaners which were not updated to work with XP could cause problems. This is something consider, when regclean was designed to be used under Windows 95. Considering there are registry cleaners, which are regularly updated, will find a lot more errors than regclean does, will never delete valid registry keys and show you exactly what registry keys they want to do delete, it's a mystery why you or anyone else, would want to use regclean in 2018. Why would you a terrible program to do something, where there are much better and safer options, which are also free? Peter Blaise, I specifically mentioned "... anything that accesses the registry [ becomes ] more responsive ..."
Can you give some examples, of where you notice this. I'm genuinely curious to know. "Try it, you'll like it, it couldn't really hurt, and anything it hurts is deservedly hurt because whatever is hurt by RegClean is non-standard and is begging for a cascade of dysfunction, so remove it, and come up with a standard way of accomplishing that program's features and benefits." This is not really the case. As I've already mention just about every single registry cleaner ever written, will sometimes want to remove valid registry keys. The issues is not so much with other software, it is just the programmers of the registry cleaners have put nowhere near enough effort into making sure the registry cleaner does not think that valid registry keys are errors. It's important to note, that this is something that is not hard to do, so there's no good reason for any registry cleaner to delete needed registry keys. I must point out too, that I have used RegClean myself. It was a very long time ago, probably close to twenty years. I have no reason to use it again. I will never use any registry cleaner, which does not show the errors it found, before cleaning them. I want to make sure that no valid registry keys will be removed, before I clean the registry. Also, it's rather bizarre that you would think a 20+ year old program, somehow works better than current registry cleaners. Over the many years that I've been using registry cleaners, I have seen them improve and be able to find more registry errors. "A slower-than-previous computer usually has either..."
I've been fixing computers for many years, so I know what causes slowdowns. "But thanks for your ardent if inexplicable contribution of Microsoft stuff on an Ashampoo thread." Once again, this is rather a strange comment, as you brought up Microsoft, not me and always mention Microsoft in your posts. Peter Blaise, I specifically mentioned "... anything that accesses the registry [ becomes ] more responsive ..." Can you give some examples, of where you notice this. I'm genuinely curious to know. "Try it, you'll like it, it couldn't really hurt, and anything it hurts is deservedly hurt because whatever is hurt by RegClean is non-standard and is begging for a cascade of dysfunction, so remove it, and come up with a standard way of accomplishing that program's features and benefits." This is not really the case. As I've already mention just about every single registry cleaner ever written, will sometimes want to remove valid registry keys. The issues is not so much with other software, it is just the programmers of the registry cleaners have put nowhere near enough effort into making sure the registry cleaner does not think that valid registry keys are errors. It's important to note, that this is something that is not hard to do, so there's no good reason for any registry cleaner to delete needed registry keys. I must point out too, that I have used RegClean myself. It was a very long time ago, probably close to twenty years. I have no reason to use it again. I will never use any registry cleaner, which does not show the errors it found, before cleaning them. I want to make sure that no valid registry keys will be removed, before I clean the registry. Also, it's rather bizarre that you would think a 20+ year old program, somehow works better than current registry cleaners. Over the many years that I've been using registry cleaners, I have seen them improve and be able to find more registry errors. "A slower-than-previous computer usually has either..." I've been fixing computers for many years, so I know what causes slowdowns. "But thanks for your ardent if inexplicable contribution of Microsoft stuff on an Ashampoo thread." Once again, this is rather a strange comment, as you brought up Microsoft, not me and always mention Microsoft in your posts. Thanks again ... I have a few of goals in my sharing, regardless of today's GOTD offering. 1 - Microsoft doesn't even speak for Microsoft: I'd like to remind us that Microsoft is not predictable, has been all over the map, is not authoritative, and anything we claim about Microsoft probably has plenty of exceptions from Microsoft themselves. 2 - Backup and reboot often: Every registry-touching product has their own approach, and caveats abound, so, backups, restore points, and emergency boot recovery disks are critical requirements to have at-the-ready before teaching ourselves what each registry-toucher does; and we must reboot often so we can know which change caused a crashed, rather than making dozens of changes with dozens of programs and then rebooting. 3 - "You're wasting your time" messages are a waste of time: we each have our own learning curves, so, instead of saying "don't go there", we're probably more helpful offering "here's what I found when I went there" and provide specifics; and so, trying to negate other's experiences is equally a fools errand. It's a dynamic group of databases: deleted items still occupy space until the databases are re-indexed, and until then, anything that looks through the databases will have to skip over deleted and deletable items ... though reading the Windows registry may be trivial, time wise, useless deletable items still take up time and space, and the dang thing is in installation order, not speedy-look-up order, so add program A after adding program Z and program Z will be stored before program A ( regardless of how it is displayed in an editor ) ... cleaning and reorganizing and defragging and re-compressing address these compromises ... yet, you may never notice a time-savings that even comes close to the time it takes to clean and reorganize and defrag and re-compress. Fix items in error: it's been many years since programs such as Quarterdeck Clean Sweep offered an endless list of possible fixes for errant Windows registry entries, it's usually faster and more reliable to not even look for fixes, but to delete misaligned entries, then reinstall and re-register programs. Edit: there are many registry editors that empower you to search, sort, select, delete, change, lock, unlock, export, import, find and replace, and play with registration database items, and there are tons of .reg files available to directly automate fixes and tweaks without editing the registry manually. ... and see responses from Microsoft, even! 1 - create a new user and start signing in as that new users ... user profiles often become corrupt and -s-l-o-w- ( remember to always install programs for ALL users so new users have immediate icon access ). 2 - reinstall Windows ... and all your applications, almost NOTHING beats this, some folks make a re-installable restore image after first install with update patches and with installations of prime programs and some tweaks, then can return to that on demand without going all the way back to complete scratch ... data stored and backed up separately, as always, right? If you are happy with free programs, free Ninite and others ( and not-free Glary Software Update Pro and others ) can reinstall most useful stuff automatically, and Windows updates can re-trickle in over time, who needs to rush? 3 - buy a new computer, or at least a new hard drive and new memory, parts are cheap ... and as Carol Shelby noted when putting a V8 into a little lightweight car, nothing beats sheer power-to-weight ratio for speed ... so when your new dozen-core two-dozen-thread slogs down to the speed of old Windows 3.11 on a 386DX with VEGA and 4 MB and a 20 MB hard drive ( yes, MB ), start all over again, same advice. Computers are not here to serve us, we are here to serve computers. Note: everyone else's experiences are different and just as valid.
. [ Roger ], Thanks again ... I have a few of goals in my sharing, regardless of today's GOTD offering. 1 - Microsoft doesn't even speak for Microsoft: I'd like to remind us that Microsoft is not predictable, has been all over the map, is not authoritative, and anything we claim about Microsoft probably has plenty of exceptions from Microsoft themselves. 2 - Backup and reboot often: Every registry-touching product has their own approach, and caveats abound, so, backups, restore points, and emergency boot recovery disks are critical requirements to have at-the-ready before teaching ourselves what each registry-toucher does; and we must reboot often so we can know which change caused a crashed, rather than making dozens of changes with dozens of programs and then rebooting. 3 - "You're wasting your time" messages are a waste of time: we each have our own learning curves, so, instead of saying "don't go there", we're probably more helpful offering "here's what I found when I went there" and provide specifics; and so, trying to negate other's experiences is equally a fools errand. __________ Things you can do to your Windows registry: It's a dynamic group of databases: deleted items still occupy space until the databases are re-indexed, and until then, anything that looks through the databases will have to skip over deleted and deletable items ... though reading the Windows registry may be trivial, time wise, useless deletable items still take up time and space, and the dang thing is in installation order, not speedy-look-up order, so add program A after adding program Z and program Z will be stored before program A ( regardless of how it is displayed in an editor ) ... cleaning and reorganizing and defragging and re-compressing address these compromises ... yet, you may never notice a time-savings that even comes close to the time it takes to clean and reorganize and defrag and re-compress. Fix items in error: it's been many years since programs such as Quarterdeck Clean Sweep offered an endless list of possible fixes for errant Windows registry entries, it's usually faster and more reliable to not even look for fixes, but to delete misaligned entries, then reinstall and re-register programs. Edit: there are many registry editors that empower you to search, sort, select, delete, change, lock, unlock, export, import, find and replace, and play with registration database items, and there are tons of .reg files available to directly automate fixes and tweaks without editing the registry manually. Web search for more via: things you can do to windows registry ... and see responses from Microsoft, even! __________ Want SPEED back? 1 - create a new user and start signing in as that new users ... user profiles often become corrupt and -s-l-o-w- ( remember to always install programs for ALL users so new users have immediate icon access ). 2 - reinstall Windows ... and all your applications, almost NOTHING beats this, some folks make a re-installable restore image after first install with update patches and with installations of prime programs and some tweaks, then can return to that on demand without going all the way back to complete scratch ... data stored and backed up separately, as always, right? If you are happy with free programs, free Ninite and others ( and not-free Glary Software Update Pro and others ) can reinstall most useful stuff automatically, and Windows updates can re-trickle in over time, who needs to rush? 3 - buy a new computer, or at least a new hard drive and new memory, parts are cheap ... and as Carol Shelby noted when putting a V8 into a little lightweight car, nothing beats sheer power-to-weight ratio for speed ... so when your new dozen-core two-dozen-thread slogs down to the speed of old Windows 3.11 on a 386DX with VEGA and 4 MB and a 20 MB hard drive ( yes, MB ), start all over again, same advice. ( Putting all directories with their file listings in alphabetical order at the fixed disk drive's outer ring also helps responsiveness, good luck with finding that feature in any defragger -- I embarrassed Diskkeeper to create a pre-boot DOS batch routine to accomplish it. ) Computers are not here to serve us, we are here to serve computers. Note: everyone else's experiences are different and just as valid. __________ ( PS -- An initial post that claims that "... Microsoft actually designed the registry so that excess registry keys won't reduce performance ..." begs for an "... Au contraire, [ see ] Microsoft's own Windows Registry Cleaner ..." response. You're welcome. ) . Peter Blaise, "Backup and reboot often..."
There are around five or so registry cleaners that as far I can tell, based on my experience using them on a lot of different computers over many years, that should never ever delete a valid registry key, making them safe to use. Now I can't guarantee that they will never cause any problems, but I can say with absolute certainty that the chance of that happening is close to zero. This is something that can not be said for regclean or 99.9% of registry cleaners, not even registry cleaners which are sadly often recommended as being safe to use. With regards to speed, I have two SSDs in my main laptop which helps keep it running fast. My computer would run faster if I did a clean install of Windows, but it runs more than fast enough for my needs, as it is. It boots in about 10 seconds and runs remarkably well considering that I have well over 600 programs installed and have installed and uninstalled hundreds more over the past three years. I don't believe in reinstalling Windows. Even when I encounter serious problems, I don't restore from a working backup or reinstall. Instead, I take the time to diagnose and fix the problem. It's been three years since I last reinstalled wWndows on my main computer and I don't plan on doing that again for many years. "PS -- An initial post that claims that "... Microsoft actually designed the registry so that excess registry keys won't reduce performance"
Actually, that is the case and quite often in discussions about registry cleaners, Windows experts will state that it is impossible to increase performance by cleaning the registry, for this reason. Here is a good article explaining it. They even say in the article: "No legitimate benchmarks showing a performance increase as a result of a registry cleaner have ever been released. If a registry cleaner offered boosted performance, we would have some benchmarks by now." You even acknowledged that cleaning the registry may increase the speed of accessing the registry, but should not increase performance. You still haven't given examples of how faster registry access times benefit you. Peter Blaise, "Backup and reboot often..." There are around five or so registry cleaners that as far I can tell, based on my experience using them on a lot of different computers over many years, that should never ever delete a valid registry key, making them safe to use. Now I can't guarantee that they will never cause any problems, but I can say with absolute certainty that the chance of that happening is close to zero. This is something that can not be said for regclean or 99.9% of registry cleaners, not even registry cleaners which are sadly often recommended as being safe to use. With regards to speed, I have two SSDs in my main laptop which helps keep it running fast. My computer would run faster if I did a clean install of Windows, but it runs more than fast enough for my needs, as it is. It boots in about 10 seconds and runs remarkably well considering that I have well over 600 programs installed and have installed and uninstalled hundreds more over the past three years. I don't believe in reinstalling Windows. Even when I encounter serious problems, I don't restore from a working backup or reinstall. Instead, I take the time to diagnose and fix the problem. It's been three years since I last reinstalled wWndows on my main computer and I don't plan on doing that again for many years. "PS -- An initial post that claims that "... Microsoft actually designed the registry so that excess registry keys won't reduce performance" Actually, that is the case and quite often in discussions about registry cleaners, Windows experts will state that it is impossible to increase performance by cleaning the registry, for this reason. Here is a good article explaining it. https://www.howtogeek.com/171633/why-using-a-registry-cleaner-wont-speed-up-your-pc-or-fix-crashes/ They even say in the article: "No legitimate benchmarks showing a performance increase as a result of a registry cleaner have ever been released. If a registry cleaner offered boosted performance, we would have some benchmarks by now." You even acknowledged that cleaning the registry may increase the speed of accessing the registry, but should not increase performance. You still haven't given examples of how faster registry access times benefit you. Speed: a misnomer, no one cares about speed, they only care about responsiveness, your computer does not run faster with SSDs ( especially if they are attached as HDDs ), but may be more responsive under certain hurry-up-and-wait conditions, like waiting for boot ... which I never do, I seldom reboot, and when I do, I go off and get busy doing other things, and don't care if a computer takes 10 seconds or 20 minutes to boot because I am on a 1/2 hour task elsewhere ... to each their own. Responsiveness: I learned this -w-a-y- back when a real estate accountant complained that a spreadsheet took 20 minutes to reiteratively recalculate a loan down to self-financing with less than a dollar investment risk ... we threw everything we could at it and got the recalculation time down from 20 minutes to only 2 minutes, a miracle that had us cheering ... and the customer refused to pay because it was still too long, they were not going to wait 2 minutes staring at a useless screen, they were going to get up and go do something else and come back in 1/2 an hour, so it did not matter if it finished in 20 minutes or 2 minutes, they were gone ... they wanted it to recalculate without interrupting their train of thought, in other words, instantaneously, they cared about responsiveness, not speed ( my partner negotiated for 1/2 price payment, and we never serviced them again ). "Turbo" stickers for sale: Gone are the days when Steve Gibson's FlickerFree, Revolution Software's Cruise Control, Microsoft's DOS Buffers and Files, Quarterdeck's QEMM and Microsoft's HIMEM.sys, Steve Gibson's SpinRite re-interleaving, Western Digital's 2,7 RLL-ing, Intel math co-processors, NEC V-processors could make a significant difference in the perception of computer speed, because the makers have learned to hot-rod their original stuff by now. False promises: Like RAS defraggers ( random access storage -- fixed disk defraggers ), registry "cleaners-et-cetera", actually, as I wrote, registry-cleaners-fixers-reorganizers-reindexers-defragers-re-compressers are NOT for speed or to prevent crashes, but for task responsiveness, and to facilitate accurate unambiguous recovery after a crash, and for some, for privacy by eliminating tracks, including wiping USB plugin history. RegClean speeds what? To my point that Microsoft Windows RegClean makes subsequent registry access more responsive ... I witness more responsiveness in, of all things, other registry tools at least, especially searches with registry editors, and with installer-uninstaller-audits, where, because I am staring at the screen waiting for a response, responsiveness is important to me. Measurements? We don't need no stinkin' measurements: To test and verify, I could clone a system, then ( 1 ) run only ONE registry "cleaner-et-cetera" on one system, not on the other system, then ( 2 ) run and measure the difference in responsiveness of only ONE program that accesses the registry between the cleaned and the non-cleaned computers ... then clone the systems again, and run the same test using a second registry "cleaner-et-cetera" program and the same registry-access program ... then cloning over and over, and testing over and over, until I've tested them all against each other a few dozen times ... and then build a multidimensional spectral matrix of the results ... I could ... it would be an inordinate scientific challenge taking months, and it's the reason there are no measurements out there ... and, like Carol Shelby, folks who just want speed can just throw a V8 ( or i9 ) into it, so, why test and measure, when it's easier to just replace everything with newer cheaper faster stuff? Or, as I have, I could testify to my personal intuitive experience, experience without measurement. Example from another discipline: I could take a stock car and run a dozen 0-to-60 MPH measurements ... then "blueprint" the car and repeat a dozen runs, and maybe only measure 1 percentile improvement 0-to-60 ... BUT I might testify that it feels different, it feels more responsive, it feels more predictable, it feels less hesitant, it feels more precise, it feels less sloppy. "Arguments" are for mathematical equations: We don't have an argument here, we have individual testimony of our individual perception of our individual experience. Make of it what you will, folks. Thanks for the opportunity to share, and thanks for sharing.
. Welcome to [ Roger ]'s and [ Peter Blaise ]'s Vintage-Tech-Chat ... Speed: a misnomer, no one cares about speed, they only care about responsiveness, your computer does not run faster with SSDs ( especially if they are attached as HDDs ), but may be more responsive under certain hurry-up-and-wait conditions, like waiting for boot ... which I never do, I seldom reboot, and when I do, I go off and get busy doing other things, and don't care if a computer takes 10 seconds or 20 minutes to boot because I am on a 1/2 hour task elsewhere ... to each their own. Responsiveness: I learned this -w-a-y- back when a real estate accountant complained that a spreadsheet took 20 minutes to reiteratively recalculate a loan down to self-financing with less than a dollar investment risk ... we threw everything we could at it and got the recalculation time down from 20 minutes to only 2 minutes, a miracle that had us cheering ... and the customer refused to pay because it was still too long, they were not going to wait 2 minutes staring at a useless screen, they were going to get up and go do something else and come back in 1/2 an hour, so it did not matter if it finished in 20 minutes or 2 minutes, they were gone ... they wanted it to recalculate without interrupting their train of thought, in other words, instantaneously, they cared about responsiveness, not speed ( my partner negotiated for 1/2 price payment, and we never serviced them again ). "Turbo" stickers for sale: Gone are the days when Steve Gibson's FlickerFree, Revolution Software's Cruise Control, Microsoft's DOS Buffers and Files, Quarterdeck's QEMM and Microsoft's HIMEM.sys, Steve Gibson's SpinRite re-interleaving, Western Digital's 2,7 RLL-ing, Intel math co-processors, NEC V-processors could make a significant difference in the perception of computer speed, because the makers have learned to hot-rod their original stuff by now. False promises: Like RAS defraggers ( random access storage -- fixed disk defraggers ), registry "cleaners-et-cetera", actually, as I wrote, registry-cleaners-fixers-reorganizers-reindexers-defragers-re-compressers are NOT for speed or to prevent crashes, but for task responsiveness, and to facilitate accurate unambiguous recovery after a crash, and for some, for privacy by eliminating tracks, including wiping USB plugin history. RegClean speeds what? To my point that Microsoft Windows RegClean makes subsequent registry access more responsive ... I witness more responsiveness in, of all things, other registry tools at least, especially searches with registry editors, and with installer-uninstaller-audits, where, because I am staring at the screen waiting for a response, responsiveness is important to me. Measurements? We don't need no stinkin' measurements: To test and verify, I could clone a system, then ( 1 ) run only ONE registry "cleaner-et-cetera" on one system, not on the other system, then ( 2 ) run and measure the difference in responsiveness of only ONE program that accesses the registry between the cleaned and the non-cleaned computers ... then clone the systems again, and run the same test using a second registry "cleaner-et-cetera" program and the same registry-access program ... then cloning over and over, and testing over and over, until I've tested them all against each other a few dozen times ... and then build a multidimensional spectral matrix of the results ... I could ... it would be an inordinate scientific challenge taking months, and it's the reason there are no measurements out there ... and, like Carol Shelby, folks who just want speed can just throw a V8 ( or i9 ) into it, so, why test and measure, when it's easier to just replace everything with newer cheaper faster stuff? Or, as I have, I could testify to my personal intuitive experience, experience without measurement. Example from another discipline: I could take a stock car and run a dozen 0-to-60 MPH measurements ... then "blueprint" the car and repeat a dozen runs, and maybe only measure 1 percentile improvement 0-to-60 ... BUT I might testify that it feels different, it feels more responsive, it feels more predictable, it feels less hesitant, it feels more precise, it feels less sloppy. "Arguments" are for mathematical equations: We don't have an argument here, we have individual testimony of our individual perception of our individual experience. Make of it what you will, folks. Thanks for the opportunity to share, and thanks for sharing. .
Peter Blaise, "your computer does not run faster with SSDs"
It does, up to a point. While the processing power is the same, disk operations faster, often much faster. Using SSDs does make a huge difference in day to day usage. "actually, as I wrote, registry-cleaners-fixers-reorganizers-reindexers-defragers-re-compressers are NOT for speed or to prevent crashes, but for task responsiveness,"
This is first time I've ever heard that and the publishers of 99% of registry cleaners claim that their registry cleaner will make your computer run faster (or even like new) and fix problems and crashes. Of course, the reality is very different, but they are mistruths used to see registry cleaners and even used just as often to promote free registry cleaners too. "RegClean speeds what? To my point that Microsoft Windows RegClean makes subsequent registry access more responsive ... I witness more responsiveness in, of all things, other registry tools at least, especially searches with registry editors, and with installer-uninstaller-audits, where, because I am staring at the screen waiting for a response, responsiveness is important to me." While I don't doubt your own personal experience, that has not been the case. I used registry cleaners hundreds of times and have only seen an noticeable increase in responsiveness two or three times. Your own experience provides a reason for you to use RegClean. But you would get the same results, if not better, by using a current registry cleaner. I doubt you could give me any one good reason to use RegClean over current registry cleaners. sure, it works for you. But, so would a current registry cleaner and you would have the benefit of it removing more (perhaps many more redundant registry keys) and you would get support and updates/bug fixes for it. There is absolutely nothing remarkable about RegClean when compared to other registry cleaners. To give an analogy, Windows 95 worked well for me at the time, but subsequent operating systems from Microsoft, particularly Vista and onwards have been major improvements. As a result, I run Windows 10 on just about all of my computers and would never use Windows 95, 98 or XP these days. Like I said, I'm not trying to disagree with your own personal experience. But I fail to see why you would want to use RegClean in 2018. Peter Blaise, "your computer does not run faster with SSDs" It does, up to a point. While the processing power is the same, disk operations faster, often much faster. Using SSDs does make a huge difference in day to day usage. "actually, as I wrote, registry-cleaners-fixers-reorganizers-reindexers-defragers-re-compressers are NOT for speed or to prevent crashes, but for task responsiveness," This is first time I've ever heard that and the publishers of 99% of registry cleaners claim that their registry cleaner will make your computer run faster (or even like new) and fix problems and crashes. Of course, the reality is very different, but they are mistruths used to see registry cleaners and even used just as often to promote free registry cleaners too. "RegClean speeds what? To my point that Microsoft Windows RegClean makes subsequent registry access more responsive ... I witness more responsiveness in, of all things, other registry tools at least, especially searches with registry editors, and with installer-uninstaller-audits, where, because I am staring at the screen waiting for a response, responsiveness is important to me." While I don't doubt your own personal experience, that has not been the case. I used registry cleaners hundreds of times and have only seen an noticeable increase in responsiveness two or three times. Your own experience provides a reason for you to use RegClean. But you would get the same results, if not better, by using a current registry cleaner. I doubt you could give me any one good reason to use RegClean over current registry cleaners. sure, it works for you. But, so would a current registry cleaner and you would have the benefit of it removing more (perhaps many more redundant registry keys) and you would get support and updates/bug fixes for it. There is absolutely nothing remarkable about RegClean when compared to other registry cleaners. To give an analogy, Windows 95 worked well for me at the time, but subsequent operating systems from Microsoft, particularly Vista and onwards have been major improvements. As a result, I run Windows 10 on just about all of my computers and would never use Windows 95, 98 or XP these days. Like I said, I'm not trying to disagree with your own personal experience. But I fail to see why you would want to use RegClean in 2018. -- it keeps an undo file, where you can immediately inspect what programs took a hit, if any, and reverse anything. "... there is no need to ever clean the registry no matter how many registry errors any registry cleaner finds and deletes ..."
"... I used registry cleaners and have seen a noticeable increase in responsiveness ..."
"... current registry cleaners have the benefit of removing many more redundant-registry-keys ..."
So ... Microsoft DOES support -- and supply -- a "registry cleaner" in one form or another after all, and has been doing so for 24+ years. This article describes the command-line switches you can use when you run the MS-DOS version [ Scanreg.exe ] or the Windows version [ Scanregw.exe ] of the Registry Checker tool. == Backs up the registry and related files without displaying any prompts. == Displays a list of available backup files, sorted by the date and time the backup was created. == Enables you to add a descriptive comment to the registry backup. == Repairs any damaged portions of the registry, and optimizes it by rebuilding it without unused space. == Automatically scans the registry and backs it up without displaying any prompts if there is no backup for that date. == Scans the registry and displays a message if any errors are found. This switch does not back up the registry. == Scans the registry file specified and displays a message indicating whether or not any errors were found. This switch does not back up the registry. == The /opt command-line switch causes the Registry Checker tool to optimize the registry by removing unused space. The Registry Scan Results dialog box appears only when you use the Scanregw.exe command without any command-line switches. If no registry errors are found when you run Scanregw.exe, you are prompted to create a backup copy of your current registry. scanreg.exe "/comment=this is a registry backup"
scanreg.exe /backup "/comment=this is a registry backup"
== creates a backup copy of your registry and adds your comment without starting the Registry Checker tool GUI. Microsoft has a current tool that fixes and optimizes the Windows registry -- cool! In the future, let's not kneejerk decry registry cleaners / fixers / optimizers as useless dangerous anti-Microsoft stuff that Microsoft would never do ( which you did, boo-hoo ), and let's just review the product in each GOTD offering, and share our experience ( which you did, thank you ).
. [ Roger ], One or more reasons to use Microsoft [ RegClean ]: -- it's free, small, and quick, -- it's automatable, no interaction needed, I have it run once at boot, -- it's "damage"-free for "compatible", "rule-obeying" programs ( you decide what compatible and rule-obeying mean to you ), -- it keeps an undo file, where you can immediately inspect what programs took a hit, if any, and reverse anything. __________ I notice that you wrote, ( EDITED for my purposes, but they are YOUR words ): "... there is no need to ever clean the registry no matter how many registry errors any registry cleaner finds and deletes ..." ... versus: "... I used registry cleaners and have seen a noticeable increase in responsiveness ..." ... versus: "... current registry cleaners have the benefit of removing many more redundant-registry-keys ..." ... versus: ... Microsoft currently offers [ ScanReg ] Windows Registry Checker Tool, which automatically scans the system registry for invalid entries and empty data blocks when it is started, if invalid registry entries are detected, it restores a previous day's backup, if no backups are available, it tries to make repairs to the registry, if the registry contains more than 500 KB of empty data blocks, Windows Registry Checker automatically optimizes the registry, run: [ ScanReg /fix ] or [ ScanRegW /fix ] So ... Microsoft DOES support -- and supply -- a "registry cleaner" in one form or another after all, and has been doing so for 24+ years. __________ [ ScanReg ] Command-Line Switches for the Registry Checker Tool This article describes the command-line switches you can use when you run the MS-DOS version [ Scanreg.exe ] or the Windows version [ Scanregw.exe ] of the Registry Checker tool. Syntax, MS-DOS Version: Scanreg.exe [ /backup ] [ /restore ] [ "/comment=<text>" ] [ /fix ] Scanreg.exe [ backup ] [ /restore ] [ "/comment=<text>" ] [ /fix ] [ /opt ] Windows Version: Scanregw.exe [ /backup ] [ "/comment=<text>" ] [ /autoscan ] [ /scanonly ] [ filename ] Switches: /backup == Backs up the registry and related files without displaying any prompts. /restore == Displays a list of available backup files, sorted by the date and time the backup was created. "/comment=<text>" == Enables you to add a descriptive comment to the registry backup. /fix == Repairs any damaged portions of the registry, and optimizes it by rebuilding it without unused space. /autoscan == Automatically scans the registry and backs it up without displaying any prompts if there is no backup for that date. /scanonly == Scans the registry and displays a message if any errors are found. This switch does not back up the registry. filename == Scans the registry file specified and displays a message indicating whether or not any errors were found. This switch does not back up the registry. /opt == The /opt command-line switch causes the Registry Checker tool to optimize the registry by removing unused space. The Registry Scan Results dialog box appears only when you use the Scanregw.exe command without any command-line switches. If no registry errors are found when you run Scanregw.exe, you are prompted to create a backup copy of your current registry. The "/comment=<text>" switch can be used by itself or with the /backup switch. For example, you can type either of the following lines at a command prompt: scanreg.exe "/comment=this is a registry backup" == starts the Registry Checker tool graphical user interface ( GUI ) and prompts you to create a registry backup scanreg.exe /backup "/comment=this is a registry backup" == creates a backup copy of your registry and adds your comment without starting the Registry Checker tool GUI. For additional information about the Registry Checker tool, please see the following articles in the Microsoft Knowledge Base: 183887 Description of the Windows Registry Checker Tool ( Scanreg.exe ) 183603 How to Customize Registry Checker Tool Settings __________ Microsoft has a current tool that fixes and optimizes the Windows registry -- cool! Just saying. In the future, let's not kneejerk decry registry cleaners / fixers / optimizers as useless dangerous anti-Microsoft stuff that Microsoft would never do ( which you did, boo-hoo ), and let's just review the product in each GOTD offering, and share our experience ( which you did, thank you ). Why not? . Peter Blaise, "it's "damage"-free for "compatible", "rule-obeying" programs"
Well written registry cleaners are damage-free for all software, no matter what registry keys the software creates. You are taking what I said out of context. I have seen an noticeable increase literally two or three times, in 20 or so years of using registry cleaners, across many different computers. Considering that I am constantly installing and uninstalling software on the computer I use every day (I install more software in a year than most people would so in a lifetime), the registry on my main computer is often not in the best shape. Yet, no more than three times have I noticed any increase in responsiveness. That is true, that they will remove more redundant registry keys. That's no particular reason to use them. But it is just common sense to use a product that will never cause any issues with third party software, than one which will remove less registry keys and has the potential to cause errors. I don't know if you're aware, but in early days of registry cleaners it happened fairly often that registry cleaners would delete critical registry keys, which would lead to Windows not booting anymore. Thankfully, even the worst coded registry cleaners these days, never do that. Progress is not a bad thing. If it was, why are you not still using Windows 95? "Microsoft currently offers [ ScanReg ] Windows Registry Checker Tool"
Yes, they did 20 years ago, but Windows 98 was the last OS that Microsoft included it in. It's rather baffling that you should post the instructions for it. I've got zero interest in any Microsoft software from 20 years ago. Sure, Windows 85 and 98 were fine at time, but fortunately times change and they are both absolutely terrible operating systems compared to even Vista. Unless you of course, you believe the widespread myth that Vista was a terrible operating system. Actually, I just saw your comment about it being "a current tool." You clearly don't know much about Windows, to not know that is was discontinued after the release of Windows 98. Anyway, if you have paid attention to more than just date on that web page, you would have seen the mention of Widows 98 in that article. If you're trying to prove a point, it helps to know what you are talking about! "In the future, let's not kneejerk decry registry cleaners / fixers / optimizers as useless dangerous anti-Microsoft stuff that Microsoft would never do ( which you did, boo-hoo ), and let's just review the product in each GOTD offering, and share our experience ( which you did, thank you )." It was you who brought up RegClean. The rest of the world, thankfully, forgot about it 20 years ago. Microsoft stopped making registry cleaners over 20 years ago and as I have posted, these days the do not recommend using them. It's pretty silly really, to bring up things Microsoft wrote 20+ years ago, and have long since changed their opinion on. Peter Blaise, "it's "damage"-free for "compatible", "rule-obeying" programs" Well written registry cleaners are damage-free for all software, no matter what registry keys the software creates. "... I used registry cleaners and have seen a noticeable increase in responsiveness ..." You are taking what I said out of context. I have seen an noticeable increase literally two or three times, in 20 or so years of using registry cleaners, across many different computers. Considering that I am constantly installing and uninstalling software on the computer I use every day (I install more software in a year than most people would so in a lifetime), the registry on my main computer is often not in the best shape. Yet, no more than three times have I noticed any increase in responsiveness. "... current registry cleaners have the benefit of removing many more redundant-registry-keys ..." That is true, that they will remove more redundant registry keys. That's no particular reason to use them. But it is just common sense to use a product that will never cause any issues with third party software, than one which will remove less registry keys and has the potential to cause errors. I don't know if you're aware, but in early days of registry cleaners it happened fairly often that registry cleaners would delete critical registry keys, which would lead to Windows not booting anymore. Thankfully, even the worst coded registry cleaners these days, never do that. Progress is not a bad thing. If it was, why are you not still using Windows 95? "Microsoft currently offers [ ScanReg ] Windows Registry Checker Tool" Yes, they did 20 years ago, but Windows 98 was the last OS that Microsoft included it in. It's rather baffling that you should post the instructions for it. I've got zero interest in any Microsoft software from 20 years ago. Sure, Windows 85 and 98 were fine at time, but fortunately times change and they are both absolutely terrible operating systems compared to even Vista. Unless you of course, you believe the widespread myth that Vista was a terrible operating system. Actually, I just saw your comment about it being "a current tool." You clearly don't know much about Windows, to not know that is was discontinued after the release of Windows 98. Anyway, if you have paid attention to more than just date on that web page, you would have seen the mention of Widows 98 in that article. If you're trying to prove a point, it helps to know what you are talking about! "In the future, let's not kneejerk decry registry cleaners / fixers / optimizers as useless dangerous anti-Microsoft stuff that Microsoft would never do ( which you did, boo-hoo ), and let's just review the product in each GOTD offering, and share our experience ( which you did, thank you )." It was you who brought up RegClean. The rest of the world, thankfully, forgot about it 20 years ago. Microsoft stopped making registry cleaners over 20 years ago and as I have posted, these days the do not recommend using them. It's pretty silly really, to bring up things Microsoft wrote 20+ years ago, and have long since changed their opinion on. This is fun, and I'm learning so much, thanks for the provocation. ... conditions still true today, no change. == Scans for and deletes Registry keys that contain embedded null-characters that are otherwise undeleteable by "standard" Registry-editing tools. == scans the entire registry and offers to clean any found keys that contain embedded null characters. You ask "... why are you not still using Windows 95? ..."
I am running custom programs to control multiple parallel cards ( gotta love EverEx ) running dozens of Epson dot-matrix printers for custom envelope labeling with custom handwriting fonts for custom events like weddings and parties and meetings and socials, still works, ain't broke, even have a couple of spares, they're 386 computers, -w-a-y- faster than the printers attached to them, so there's no need to upgrade, and the custom programs haven't been ported to anything newer, and we need as many 8-bit I/O channel ISA Industry Standard Architecture expansion slots as we can get! You wrote "... You are taking what I said out of context ..."
That's why I wrote "... EDITED for my purposes, but they are YOUR words ..."
... so I responded with a reminder that Microsoft has AUTHORED and supported registry cleaners. ... having NEVER posting any recall claiming that their registry cleaners we no longer appropriate or supported for their intended purposes. ... so whether or not Microsoft supports something is the farthest thing from a concern here. For example, you recommended Tweaking Windows Repair ... which is now getting blocked by our web-browser new bosses, and I'm quite confident that Microsoft does not support Tweaking software. You did not mention that, because Microsoft support is irrelevant here. But, considering, as you believe, that Microsoft does not support registry cleaners, then there is no such thing as a "properly designed" registry cleaner, is there? So, there are only registry cleaners that are appropriate for the end user's purposes, which we have listed ad infinitum, but sadly few registry cleaners offer a broad spectrum of manually controlled cleaning tools, so we have to discover each one and make our own notes as to why we use each one. Remember, we clean the registry for personal and business SECURITY and PRIVACY, too, such as USB plugin history, passwords, personal information, recently used files, recently visited web sites, and so on, as well as to cleanup after removed or updates software.
. [ Roger ], This is fun, and I'm learning so much, thanks for the provocation. "... So it seems that Registry junk is a Windows fact of life and that Registry cleaners will continue to have a place ..." -- Mark Russinovich, 2005, now Microsoft SysInternals, see explanation at https://blogs.technet.microsoft.com/markrussinovich/2005/10/02/registry-junk-a-windows-fact-of-life/ ... conditions still true today, no change. Microsoft SysInternals also has a registry cleaner: [ RegDelNull ] == Scans for and deletes Registry keys that contain embedded null-characters that are otherwise undeleteable by "standard" Registry-editing tools. [ RegDelNull -s ] == scans the entire registry and offers to clean any found keys that contain embedded null characters. Microsoft's own DISM and SFC touch the registry, I suppose ... ... some of us still have downloaded-copies of Microsoft Easy Fix and Microsoft Fix It solutions, originally from Microsoft, and still available from download warehouse websites ... ... some are still available for download from Microsoft: https://support.microsoft.com/en-us/help/17590/automatically-diagnose-and-repair-windows-file-and-folder-problems Search for more: fix it for me site:microsoft.com ... and, all current versions of Windows also have inbuilt Troubleshooting control panels that work on the registry ... ... Microsoft online support also often has automatic tools that also work on the registry: https://support.microsoft.com/en-us#tab0 __________ You ask "... why are you not still using Windows 95? ..." I am. I am running custom programs to control multiple parallel cards ( gotta love EverEx ) running dozens of Epson dot-matrix printers for custom envelope labeling with custom handwriting fonts for custom events like weddings and parties and meetings and socials, still works, ain't broke, even have a couple of spares, they're 386 computers, -w-a-y- faster than the printers attached to them, so there's no need to upgrade, and the custom programs haven't been ported to anything newer, and we need as many 8-bit I/O channel ISA Industry Standard Architecture expansion slots as we can get! __________ You wrote "... You are taking what I said out of context ..." Yes. That's why I wrote "... EDITED for my purposes, but they are YOUR words ..." ; - ) YOU mentioned Microsoft not supporting registry cleaners, ... so I responded with a reminder that Microsoft has AUTHORED and supported registry cleaners. ... and NEVER changed their opinion on their own registry cleaners, ... having NEVER posting any recall claiming that their registry cleaners we no longer appropriate or supported for their intended purposes. Perspective, that's all. __________ Anyway, this website here is NOT called MAGOTD Microsoft Authorized Giveaway Of The Day ... so whether or not Microsoft supports something is the farthest thing from a concern here. For example, you recommended Tweaking Windows Repair ... which is now getting blocked by our web-browser new bosses, and I'm quite confident that Microsoft does not support Tweaking software. You did not mention that, because Microsoft support is irrelevant here. __________ But, considering, as you believe, that Microsoft does not support registry cleaners, then there is no such thing as a "properly designed" registry cleaner, is there? So, there are only registry cleaners that are appropriate for the end user's purposes, which we have listed ad infinitum, but sadly few registry cleaners offer a broad spectrum of manually controlled cleaning tools, so we have to discover each one and make our own notes as to why we use each one. Remember, we clean the registry for personal and business SECURITY and PRIVACY, too, such as USB plugin history, passwords, personal information, recently used files, recently visited web sites, and so on, as well as to cleanup after removed or updates software. Now, let's create a list of registry tools that clean specific entries, such as USB plugin history, name and company, and so on ... .
Peter Blaise, "... So it seems that Registry junk is a Windows fact of life and that Registry cleaners will continue to have a place ..." -- Mark Russinovich, 2005, now Microsoft SysInternals"
So he acknowledges that there is little use for a registry cleaner. It's not a registry cleaner in the tradition sense and only serves one purpose, to allow registry keys which can't be deleted by regedit and other registry cleaners to be deleted. It actually got nothing at all in common with registry cleaner. ... some of us still have downloaded-copies of Microsoft Easy Fix and Microsoft Fix It solutions, originally from Microsoft, and still available from download warehouse websites ..."
Yes they will touch the registry. But do not work like registry cleaners. All a registry cleaner does is scan the registry for and deletes unneeded registry keys. It's a bit misleading to actually call them errors. That's all they do. They can't add missing registry keys back to the registry and if a registry key has a wrong entry, they can't repalce it with the right one. that's why while it is possible for registry cleaners to fix problems, it is exceptionally rare. Almost always these unneeded registry keys are no causing any problem, so deleting them accomplishes nothing. On the otherhand SFC and the various other Microsoft tools can actually can fix some of these issuesm like missing or incorrect registry keys. I must point out that there are literally a few registry cleaners which when they find a reference to a missing file, will scan the hard drive and see if the file is in another location. If it is, they will update the registry key accoridngly. The problem with tihs approach, is that could it could cause problems. Registry cleanrs which do this are Registry First Aid, the registry cleaner in Fix-It Utilities and there are two others that I can't recall the names of. One of these was discontinued many years ago and other one is the original software that Registry First Aid is a rebrand of. Another reasonably common program with the registry is incorrect registry permissions. I've seen it happen many time over the years where for some unknown reason, the permissions of some registry keys get changed, meaning that software that needs to write to them can't. This can lead to all sorts of problems and is something that no registry cleaners even look for. But it can be fixed with with tweaking.com's Windows Repair software. "You ask "... why are you not still using Windows 95? ..."
I feel sorry for you. Well not really, but I'm glad that I stopped using Windows 95/98 as soon as XP was released. "You wrote "... You are taking what I said out of context ..."
That's why I wrote "... EDITED for my purposes, but they are YOUR words ...""
But you edited them specifically to take what I wrote out of context. ... so I responded with a reminder that Microsoft has AUTHORED and supported registry cleaners." I even provided a link to backup my claim, while you continue to refer to something written many years before that. Also, I fogot to mention in my last reply (since I haven't used Windows 98 since 2001), Scanreg is not a registry cleaner. It was degined to fix corruption in the registry, but due to improvements in XP, it was no longer needed. ... having NEVER posting any recall claiming that their registry cleaners we no longer appropriate or supported for their intended purposes." Actually they have cautioned against using them, as detailed in the link I provided. But hey, why not ihnore everything Microsoft has said in the last 20 years. Well that wouldn't make any sense to me, but each to their own I guess. Some of us, believe in truth rather than subjective opinion presented as fact! For example, you recommended Tweaking Windows Repair ... which is now getting blocked by "our web-browser new bosses, and I'm quite confident that Microsoft does not support Tweaking software." It really helps if you know what you are talking about. Windows Repair, does not tweak anything. Something that you would know, if you had bothered to look any further than name of the website. It actually fixes issues with Windows. It runs some Microsoft tools such as SFC and does numerous other fixes. For example it can restore some needed registry keys, if they have been deleted. It's quite common for badly wirrten registry cleaners (which is 99.9% of them) to remove needed registry keys and also just installing and uninstalling a lot of software can cause issues with the registry. "But, considering, as you believe, that Microsoft does not support registry cleaners,"
It's a fact, not a belief. "then there is no such thing as a "properly designed" registry cleaner, is there?" A "properly designed" registry cleaner, will never delete any needed registry keys. There are a few registry cleaners which fit that description. There is one that they have speicially said can cause issues and yet you use it! "so we have to discover each one and make our own notes as to why we use each one." You clearly don't understand how registry cleaners work. Essnetially all registry cleaners work the same, but some will find more so called errors that others. They are all doing the same job, so there is not such thing as using a registry cleaner for a speicifc purpose. "Remember, we clean the registry for personal and business SECURITY and PRIVACY, too, such as USB plugin history, passwords, personal information, recently used files, recently visited web sites, and so on, as well as to cleanup after removed or updates software." That is a complete different subject. Registry cleaners are not designed to that, that's what privacy cleaning software such as CCleaner is designed for. For the record, I've never been a CCleaner user as there are much better alternatives. "Now, let's create a list of registry tools that clean specific entries, such as USB plugin history, name and company, and so on ..."
To clean USB plugin history you need driver cleaning software. Driver Booster to give just one example has an function "Clean Unplugged Device History" which will do just that. Peter Blaise, "... So it seems that Registry junk is a Windows fact of life and that Registry cleaners will continue to have a place ..." -- Mark Russinovich, 2005, now Microsoft SysInternals" On that same page he also says the following: "I haven't and never will implement a Registry cleaner since it's of little practical use on anything other than Win2K terminal servers and developing one that's both safe and effective requires a huge amount of application-specific knowledge." So he acknowledges that there is little use for a registry cleaner. "Microsoft SysInternals also has a registry cleaner: [ RegDelNull ]" It's not a registry cleaner in the tradition sense and only serves one purpose, to allow registry keys which can't be deleted by regedit and other registry cleaners to be deleted. It actually got nothing at all in common with registry cleaner. "Microsoft's own DISM and SFC touch the registry, I suppose ... ... some of us still have downloaded-copies of Microsoft Easy Fix and Microsoft Fix It solutions, originally from Microsoft, and still available from download warehouse websites ..." Yes they will touch the registry. But do not work like registry cleaners. All a registry cleaner does is scan the registry for and deletes unneeded registry keys. It's a bit misleading to actually call them errors. That's all they do. They can't add missing registry keys back to the registry and if a registry key has a wrong entry, they can't repalce it with the right one. that's why while it is possible for registry cleaners to fix problems, it is exceptionally rare. Almost always these unneeded registry keys are no causing any problem, so deleting them accomplishes nothing. On the otherhand SFC and the various other Microsoft tools can actually can fix some of these issuesm like missing or incorrect registry keys. I must point out that there are literally a few registry cleaners which when they find a reference to a missing file, will scan the hard drive and see if the file is in another location. If it is, they will update the registry key accoridngly. The problem with tihs approach, is that could it could cause problems. Registry cleanrs which do this are Registry First Aid, the registry cleaner in Fix-It Utilities and there are two others that I can't recall the names of. One of these was discontinued many years ago and other one is the original software that Registry First Aid is a rebrand of. Another reasonably common program with the registry is incorrect registry permissions. I've seen it happen many time over the years where for some unknown reason, the permissions of some registry keys get changed, meaning that software that needs to write to them can't. This can lead to all sorts of problems and is something that no registry cleaners even look for. But it can be fixed with with tweaking.com's Windows Repair software. "You ask "... why are you not still using Windows 95? ..." I am." I feel sorry for you. Well not really, but I'm glad that I stopped using Windows 95/98 as soon as XP was released. "You wrote "... You are taking what I said out of context ..." Yes. That's why I wrote "... EDITED for my purposes, but they are YOUR words ..."" But you edited them specifically to take what I wrote out of context. "YOU mentioned Microsoft not supporting registry cleaners, ... so I responded with a reminder that Microsoft has AUTHORED and supported registry cleaners." I even provided a link to backup my claim, while you continue to refer to something written many years before that. Also, I fogot to mention in my last reply (since I haven't used Windows 98 since 2001), Scanreg is not a registry cleaner. It was degined to fix corruption in the registry, but due to improvements in XP, it was no longer needed. "... and NEVER changed their opinion on their own registry cleaners, ... having NEVER posting any recall claiming that their registry cleaners we no longer appropriate or supported for their intended purposes." Actually they have cautioned against using them, as detailed in the link I provided. But hey, why not ihnore everything Microsoft has said in the last 20 years. Well that wouldn't make any sense to me, but each to their own I guess. "Perspective, that's all." Some of us, believe in truth rather than subjective opinion presented as fact! For example, you recommended Tweaking Windows Repair ... which is now getting blocked by "our web-browser new bosses, and I'm quite confident that Microsoft does not support Tweaking software." It really helps if you know what you are talking about. Windows Repair, does not tweak anything. Something that you would know, if you had bothered to look any further than name of the website. It actually fixes issues with Windows. It runs some Microsoft tools such as SFC and does numerous other fixes. For example it can restore some needed registry keys, if they have been deleted. It's quite common for badly wirrten registry cleaners (which is 99.9% of them) to remove needed registry keys and also just installing and uninstalling a lot of software can cause issues with the registry. "But, considering, as you believe, that Microsoft does not support registry cleaners," It's a fact, not a belief. "then there is no such thing as a "properly designed" registry cleaner, is there?" A "properly designed" registry cleaner, will never delete any needed registry keys. There are a few registry cleaners which fit that description. There is one that they have speicially said can cause issues and yet you use it! "so we have to discover each one and make our own notes as to why we use each one." You clearly don't understand how registry cleaners work. Essnetially all registry cleaners work the same, but some will find more so called errors that others. They are all doing the same job, so there is not such thing as using a registry cleaner for a speicifc purpose. "Remember, we clean the registry for personal and business SECURITY and PRIVACY, too, such as USB plugin history, passwords, personal information, recently used files, recently visited web sites, and so on, as well as to cleanup after removed or updates software." That is a complete different subject. Registry cleaners are not designed to that, that's what privacy cleaning software such as CCleaner is designed for. For the record, I've never been a CCleaner user as there are much better alternatives. "Now, let's create a list of registry tools that clean specific entries, such as USB plugin history, name and company, and so on ..." To clean USB plugin history you need driver cleaning software. Driver Booster to give just one example has an function "Clean Unplugged Device History" which will do just that. "Tweaking" ( capital ) in my prior post is a brand name source identifier, not "tweaking" ( lower case ) which is a type of tuning software function ( Tweaking does have a tweaker, by the way ) ... Microsoft does not support Tweaking software ( the brand name source identifier ), even though you recommended it ... compared to Microsoft does not support registry cleaners, even though they have designed and released them and never rescinded them for their intended purpose -- I'm just separating Microsoft from being thought of as legitimate and unambiguous criteria for denigrating non-Microsoft software, from being any referential authority on the philosophy, design, and use of registry cleaners ( though they were, and should be, but I believe they hide the need fir their registry mishaps, and the need to compensate for a poorly designed registry system, and Microsoft does that by releasing registry fixes by any other name, saying, essentially, "there's nothing wrong with our registry, it's robust and stable, even though we have to keep evolving it and fixing it, and we often recommend to migrate to new user because we do not know how to fix the registry, or reinstall the operating system from scratch altogether because we do not know how to fix the registry, even though the Windows 3 registry could be fixed without having to wipe it out and reinstall everything, and by the way, here's a fix for the fix we sent out to fix the last fix we sent out to fix something" ... some referential authority that is ! Not. ). Quarterdeck Clean Sweep, the mother of all registry cleaners ( it searched and offered a list of suggested replacements for misaligned file references ), and Microsoft RegClean have "clean" in their name, but, as I mentioned, they all do more, more or less than each other, including, to quote my prior posts, "registry-cleaners-fixers-reorganizers-reindexers-defragers-re-compressers", commonly marketed merely as, and referred to merely as, "cleaners", but each product having more or less, hence my experience of creating a toolkit of different registry tools for cleaning, repair, optimisation, and performing specific registry tasks, such as Tweaking's scripts ( the name brand source identifier ), IObit's Driver Booster ghost removal ( which I've been doing manually since registry 1, argh ! ), but IObit requires installation, defeating a purpose of cleaning one's presence from the registry by adding IObit stuff to it first ( their FaultFixes.exe subprogram does not run by itself ), Norton and other registry editors have sophisticated search to help manual cleaning, and so on, on and on. We have overlapping sharing here. 1 -- Yes, Microsoft created and released "registry cleaners", so, to claim that they do not support registry cleaners without acknowledging "now" versus "before" is historically factually disingenuous for Microsoft at least, no apologists needed. 2 -- Since Microsoft no longer has any formally announced registry cleaners for current products that they do support, then there is no reference for any "properly designed" registry cleaner possible, only a registry cleaner that meets your own criteria ( and for you, that is removal of dead entries only, for others, they may have other criteria ). 3 - All products using the word "cleaner" or competing with "cleaners" or promising to touch and do anything with the registry may do more or less cleaning, and any other things, and are a crap shoot, and shysters abound who claim thousands of fixes more than their competitors, yet none of those "fixes", whether few or multitudinous ( removing code pages and time zones ? ), stabilize or multiply total computer performance, though they may have other benefits, so our fellow GOTDers are well advised to listen and share and explore the free ones, as paying has never bought better, only occasionally offering access to different features ( and paid for "Pro" cleaners from IObit at least CAN dig so deep into the registry that it can cause computer misbehavior, so I turn off IObit registry cleaning totally, but use the rest of their tools, manually, deciding line-by-line what recommendations to accept ), maybe, and always backup, make restore points, reboot often, keep original installation media separate, and always have another computer available. I appreciate that you want to say more, l appreciate that you want to discipline the industry to be better behaved, I appreciate that you believe that USB history wipers should not be marketed as a feature of a registry cleaner ( why ? ). And I appreciate you sharing your experience and insight -- thanks.
. [ Roger ], "Tweaking" ( capital ) in my prior post is a brand name source identifier, not "tweaking" ( lower case ) which is a type of tuning software function ( Tweaking does have a tweaker, by the way ) ... Microsoft does not support Tweaking software ( the brand name source identifier ), even though you recommended it ... compared to Microsoft does not support registry cleaners, even though they have designed and released them and never rescinded them for their intended purpose -- I'm just separating Microsoft from being thought of as legitimate and unambiguous criteria for denigrating non-Microsoft software, from being any referential authority on the philosophy, design, and use of registry cleaners ( though they were, and should be, but I believe they hide the need fir their registry mishaps, and the need to compensate for a poorly designed registry system, and Microsoft does that by releasing registry fixes by any other name, saying, essentially, "there's nothing wrong with our registry, it's robust and stable, even though we have to keep evolving it and fixing it, and we often recommend to migrate to new user because we do not know how to fix the registry, or reinstall the operating system from scratch altogether because we do not know how to fix the registry, even though the Windows 3 registry could be fixed without having to wipe it out and reinstall everything, and by the way, here's a fix for the fix we sent out to fix the last fix we sent out to fix something" ... some referential authority that is ! Not. ). Quarterdeck Clean Sweep, the mother of all registry cleaners ( it searched and offered a list of suggested replacements for misaligned file references ), and Microsoft RegClean have "clean" in their name, but, as I mentioned, they all do more, more or less than each other, including, to quote my prior posts, "registry-cleaners-fixers-reorganizers-reindexers-defragers-re-compressers", commonly marketed merely as, and referred to merely as, "cleaners", but each product having more or less, hence my experience of creating a toolkit of different registry tools for cleaning, repair, optimisation, and performing specific registry tasks, such as Tweaking's scripts ( the name brand source identifier ), IObit's Driver Booster ghost removal ( which I've been doing manually since registry 1, argh ! ), but IObit requires installation, defeating a purpose of cleaning one's presence from the registry by adding IObit stuff to it first ( their FaultFixes.exe subprogram does not run by itself ), Norton and other registry editors have sophisticated search to help manual cleaning, and so on, on and on. __________ We have overlapping sharing here. 1 -- Yes, Microsoft created and released "registry cleaners", so, to claim that they do not support registry cleaners without acknowledging "now" versus "before" is historically factually disingenuous for Microsoft at least, no apologists needed. 2 -- Since Microsoft no longer has any formally announced registry cleaners for current products that they do support, then there is no reference for any "properly designed" registry cleaner possible, only a registry cleaner that meets your own criteria ( and for you, that is removal of dead entries only, for others, they may have other criteria ). 3 - All products using the word "cleaner" or competing with "cleaners" or promising to touch and do anything with the registry may do more or less cleaning, and any other things, and are a crap shoot, and shysters abound who claim thousands of fixes more than their competitors, yet none of those "fixes", whether few or multitudinous ( removing code pages and time zones ? ), stabilize or multiply total computer performance, though they may have other benefits, so our fellow GOTDers are well advised to listen and share and explore the free ones, as paying has never bought better, only occasionally offering access to different features ( and paid for "Pro" cleaners from IObit at least CAN dig so deep into the registry that it can cause computer misbehavior, so I turn off IObit registry cleaning totally, but use the rest of their tools, manually, deciding line-by-line what recommendations to accept ), maybe, and always backup, make restore points, reboot often, keep original installation media separate, and always have another computer available. I appreciate that you want to say more, l appreciate that you want to discipline the industry to be better behaved, I appreciate that you believe that USB history wipers should not be marketed as a feature of a registry cleaner ( why ? ). And I appreciate you sharing your experience and insight -- thanks. .